The soprano Camelia Tarlea graduated the Music Academy Gheorghe Dima of Cluj-Napoca, the Department of Musicology. In Düsseldorf – Germany she obtained a diploma of the Faculty of Music Robert Schumann, department of singing (opera) and vocal pedagogy under the direct supervision of teacher and opera singer Jeanne Piland. In 2012 she also graduated solo singing (Konzertexamen) specialization within the same faculty. She attended masterclasses with Marga Schiml, Grace Bumbry, Konrad Jarnot, Tom Krause, Siegfried Jerusalem, Mariana Nicolesco. In various school projects – in cooperation with Düsseldorf Opera House – she lived her first experiences on the opera stage. She sang the roles of Susanna and Barbarina in „Le nozze di Figaro“ (W. A. Mozart), Ilia in “Idomeneo“ (W. A. Mozart), ), Adina in “L’elisir d’amore“ (G. Donizetti), Nanetta in “Falstaff” (G. Verdi) and Corinna in „Il viaggio à Reims“ (G. Rossini). In April 2011 she sang the role of Salud in the opera „La Vida breve“ by M. de Falla. She is a prize-winner of the Schmolz und Bickenbach 2010 competition of the Faculty of Music Robert Schumann of Düsseldorf. 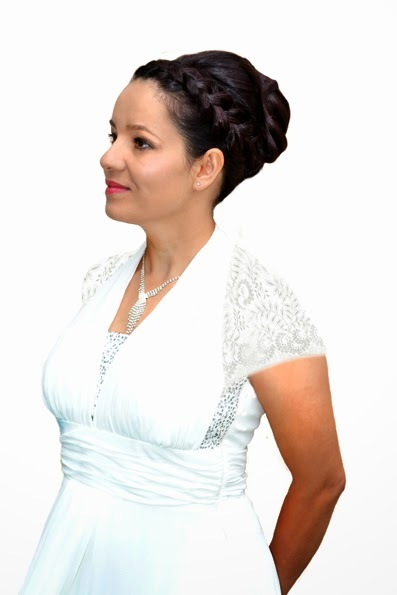 Besides opera, the soprano Camelia Tarlea participates in lieder and oratorium performances. Thus, she gave concerts in Tonhalle Ratingen with Neue Philarmonie Duisburg – „Gloria in D Major” by A. Vivaldi and „Dettinger Te Deum” by G. Fr. Händel. In Tonhalle Düsseldorf she sang the role Rose in the oratorium „Der Rose Pilgerfahrt“ by R. Schumann and in Pforzheim the "Requiem" by A. Dvorak. In the season 2010-2011 she made her debut on the stage of Düsseldorf and Duisburg Opera House as 1.Knabe in „Zauberflöte“ by W. A. Mozart and 1.Kinderstimme / Geisterin / Dienerin in „Die Frau ohne Schatten“ by R. Strauss. Since September 2011 she has been member of the ensemble of Karlsruhe State Theatre. In 2013 she sang the role of Katja in the opera "Die Passagierin" by Weinberg.